The branded content execution team creates all written branded content for the website, from long-form articles & programs to service & slideshows. We're composed of six categories Health + Wellness, Living, Entertainment, News, Work & Money, Fashion, & Beauty & we help shape & guide how Refinery29 & its client partners can make an impact in those spaces, delivering on the brands promise of quality storytelling & elevating womens voices with fresh content, tools, & discussion every day. 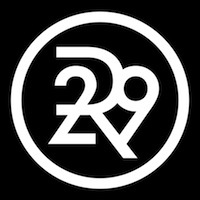 You have a deep commitment & passion for the mission of R29 to motivate & inspire women through their own unique power, identity, & infinite potential. You have a deep knowledge and/or interest in womens storytelling & reporting, & appreciate its distinct power to inform & drive conversation & change. You ignite possibility & solutions in even the most challenging moments, & you have an innate desire to strive for excellence & progress, through your daily work & your attitude. Refinery29 is looking for a not-so-ordinary Senior Beauty Editor with finely honed editorial sensibilities & expertise to lead & evolve our branded beauty content. This role will be responsible for overseeing most of the day-to-day execution of custom articles for Refinery29s beauty partners, making sure the content is smart, elevated, & leading the beauty conversation. This person should have a clear vision, standout ideas, strong industry contacts, experience on set, superior judgement, & a passion for managing & mentorship. Work with Director of Branded Content & Creative Directors to conceive original beauty story concepts & large-scale programming packages in collaboration with Refinery29s advertising partners. Edit custom branded content within the role's verticals, including, but not limited to: dedicated feature articles & co-branded collateral. Act as the creative lead in pre-sale brainstorming & planning, & approve beauty packages from an editorial POV. Maintain Refinery29 brand voice & POV in all copy, & work with internal teams to enforce editorial guidelines. Manage programs/stories from start to finish. This includes working with Editorial for seamless integration & workflow; liaising with Photo, Video, Design, Product, Marketing, & Social on creative direction; liaising with Sales, Client Services, & Marketing Solutions on client communications; assigning & managing internal editors/writers & freelancers; & ensuring that all copy meets the highest quality standards in accordance with client deadlines. Manage a team of junior writers & editors, nurturing their growth & onboarding new talent as needed. Be the authority on trends, products, & reporting for the Branded Editorial team. Make final judgment calls for branded content in accordance with Refinery29s beauty filter & voice. Experience writing & editing experience within digital media. A strong understanding of R29s voice & style POV. Must be an excellent writer across all content types, from interviews to service-driven tutorials. Experience in digital advertising & branded content is preferred. Willingness to make editorial judgment calls in a fast-paced, constantly evolving environment. Ability to succeed in an adaptive, fluid environment. A flawless command of spelling, punctuation, & grammar. A collaborative, make it work attitude.